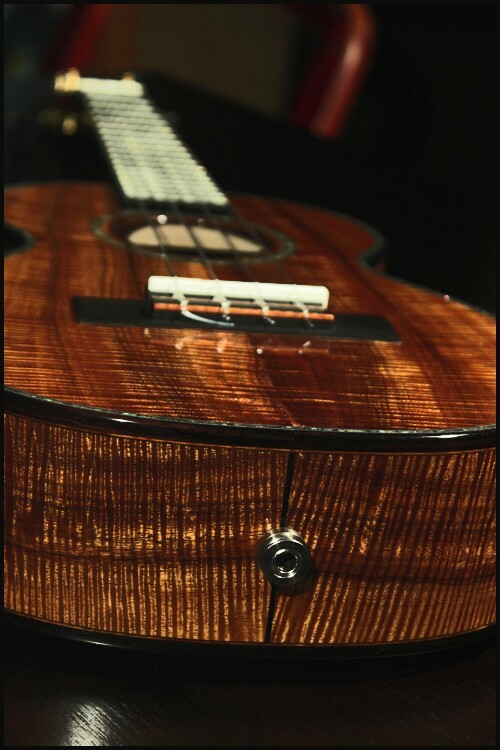 Here is one of the most beautiful Kamaka’s ever made. 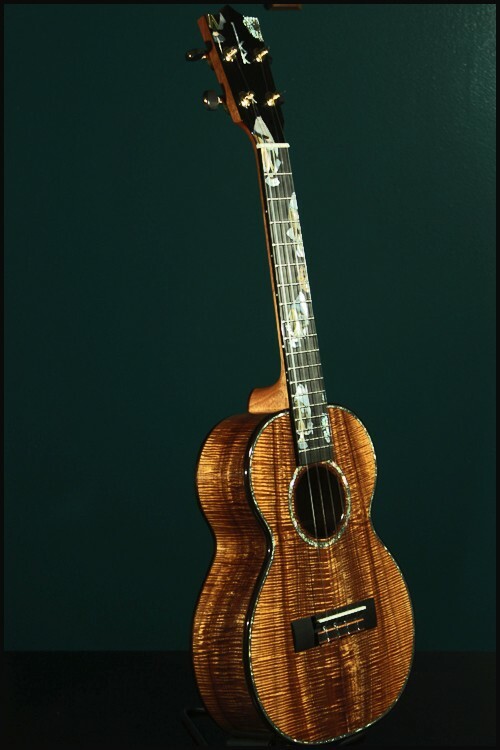 It was a 1 off Custom that Casey built using an amazing set of Master Grade Koa. 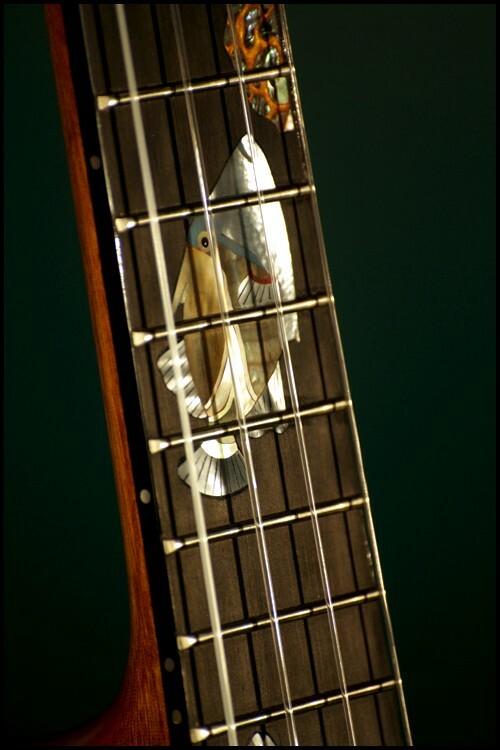 The inlay work was done by Craig Lavin and features the Hawai’i state fish, the Humuhumunukunukuapua’a. 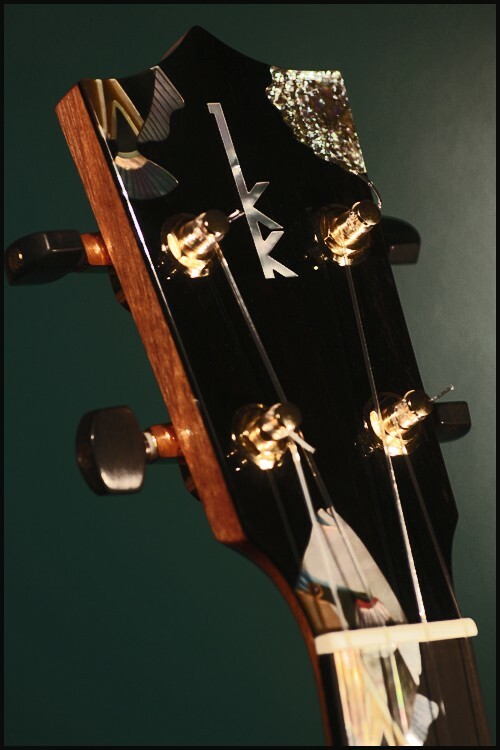 I got to see and play this while at the NAMM show this year, and it is an amazing instrument! 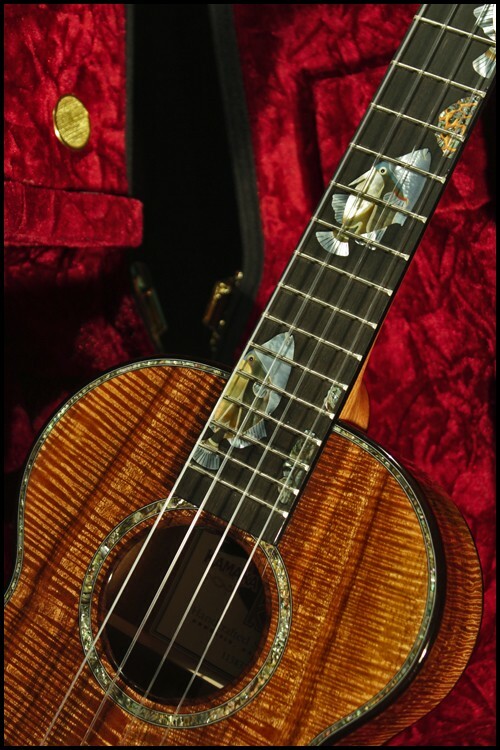 It is for sale at Hawaii Music Supply (one of my favorite ukulele shops), you can see more of it, and even buy it HERE. I hope it finds a good home! This entry was posted on February 3, 2012 at 12:35 am and is filed under History, Photos. You can follow any responses to this entry through the RSS 2.0 feed. You can leave a response, or trackback from your own site. 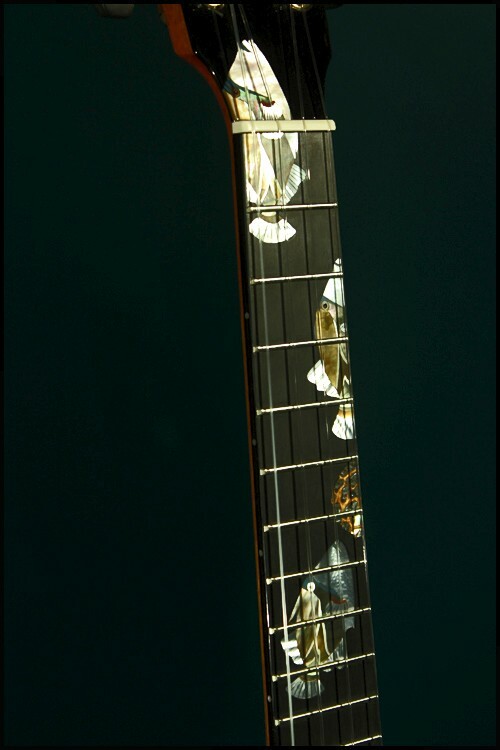 anyone know what was used for the black binding? 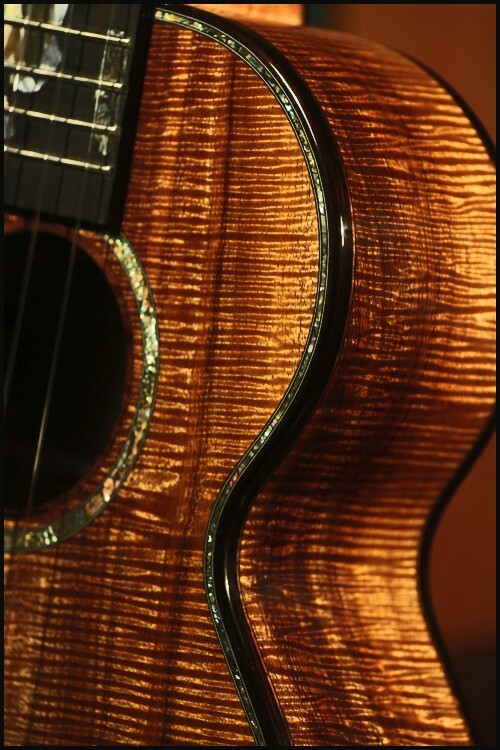 I have heard from a few luthiers that ebony is too rigid to be bent into a binding for an ukulele body that size…. 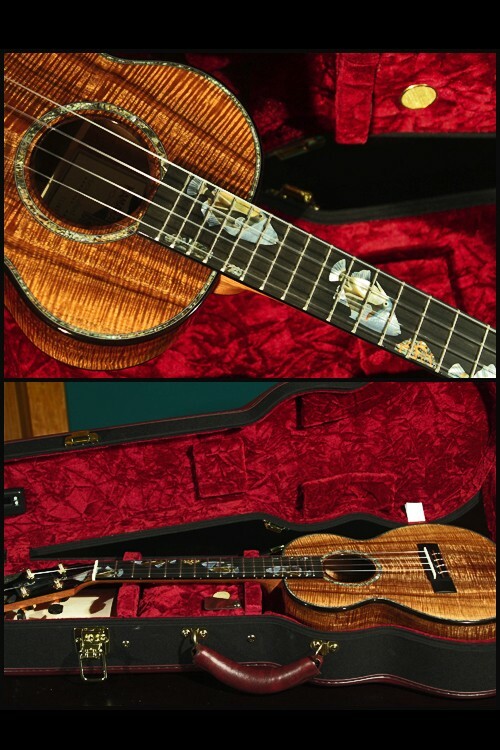 I was able to see this uke in person at the NAMM show, MusicGuy Mike was really excited about it and showed it to me. I’m pretty sure that it was ebony. 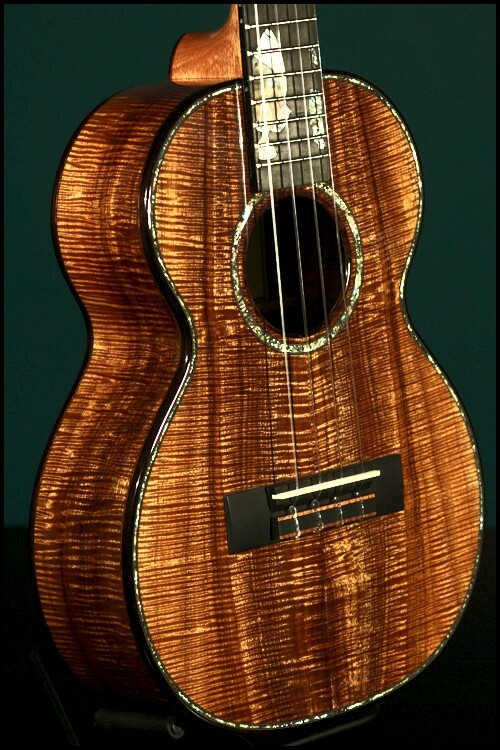 I’ve seen other tenor ukes that have ebony binding. It’s not impossible.